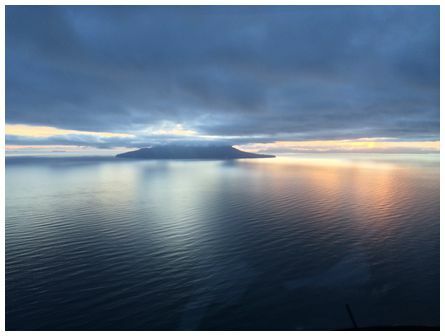 'Sunrise over Little Barrier Island at 07:00 on 31 July 2014' wrote Philip. 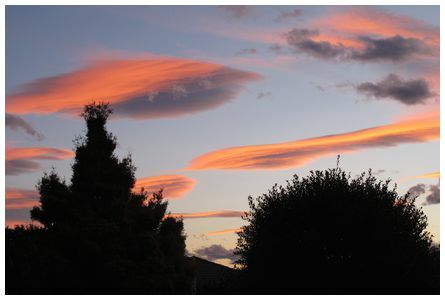 'Hi James, strong NW winds in the Southern Alps produced a spectacular collection of lenticular clouds at sunset on Friday 1 August 2014. 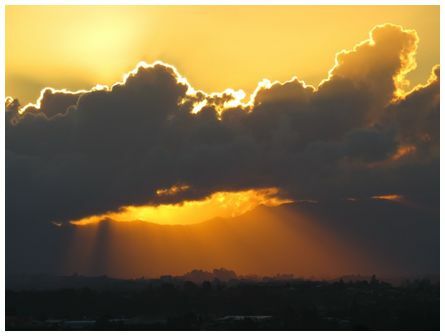 Taken in our back yard in Waitikiri, Christchurch. Canon PowerShot G12 on Program' wrote Gregor. 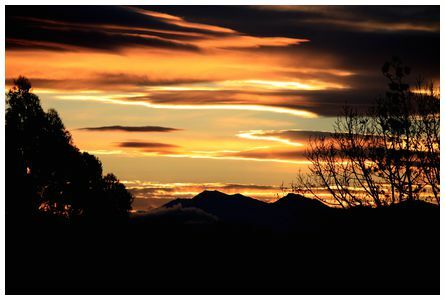 Martin's photograph of 'Oamaru Sunset' was taken at 17:50 on 21 July 2014 with a Canon EOS 450D camera. 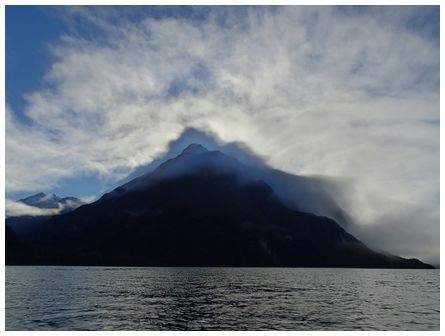 'Taken while kayaking on Hall Arm (Doubtful Sound) mid winter. 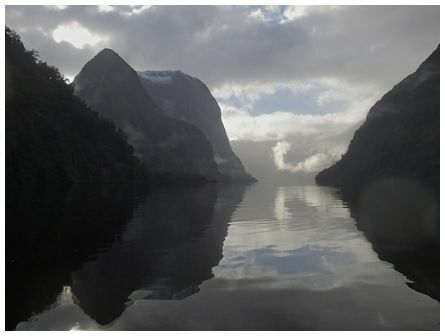 The fantastic light, clouds and reflections made it hard to paddle more than a few strokes before the next photo. Really tough to capture on camera. Camera used was Olympus TG2. 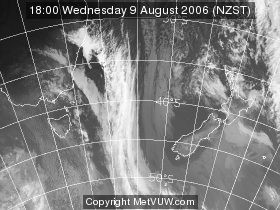 Taken 28 June 2014' wrote Dennis. 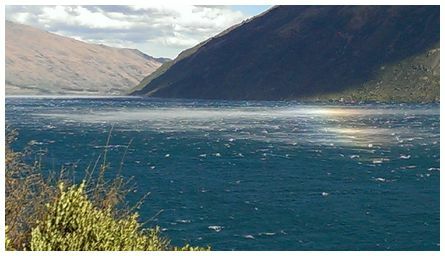 Gerard wrote 'sheets of water being picked up by gales on Lake Wakatipu, at 13:52 on 1 August 2014'.